Pickerington Schools is home to two high schools, two junior high schools, three middle schools, seven elementary schools, a preschool, and a community school. The district is the 15th largest in Ohio, educating nearly 10,600 students each year. Pickerington Schools boasts a four-year graduation rate of 96.7%. The district’s five-year graduation rate is 98.7%. The Class of 2018 was offered at least $19.4 million in scholarships, more than any class in Pickerington Schools history. Since 2007, our graduates reported being offered at least $179 million in scholarship money! The majority of Pickerington Schools residents believe the district is headed in the right direction, approve of the job classroom teachers are doing to educate students, and perceive the quality of education being offered as excellent or good. These are just a few of the results from the school district’s January 2018 resident perception survey. Regarding the quality of education the district provides, 83.2 percent of respondents said the district is doing an excellent or good job. These responses were nearly identical for those who have children in the district and those who do not. Fully 73.7 percent approve of the job Pickerington teachers are doing to educate children. This number increases dramatically to 87.6 percent approval among households that have children in Pickerington Schools. According to the survey results, almost two-thirds of residents said the district was headed in the right direction. This contentment rating increases to 72 percent among parents with children in the schools. 78 percent of residents believe the district is doing and excellent/good job of preparing students for college and higher education. 82 percent said the district is doing an excellent or good job offering classroom technology. 74 percent said taxpayers are getting a good value for its investment. 75 percent said the district is doing an excellent or good job of offering challenging course options. Numerous questions in the survey were designed to assess what district residents think Pickerington Schools’ top priorities should be. Top priorities expressed in an unaided question by those taking this survey included academics/education (12%), fiscal responsibility/reduce costs (5.3%), and discipline (7.4%). Information from community perception surveys is used in a variety of ways. The board and administration assess the data when setting future priorities. Perception surveys also allow the district to gauge how its communities view its progress over time. Paul Fallon Research performed the phone survey in January 2018. The firm interviewed 300 randomly selected district residents. Some adjustments were made to ensure the pool of respondents reflected the demographics of the district, including the percent of households with children in schools, age, race and political affiliation. The sampling error is 5.65 percent. The legacy of the Pickerington Schools begins with the Ordinance of 1785. This ordinance set aside land for school purposes. At one time, Violet Township was home to 19 one- to two-room schools spread across the township. The bulk of these schools later combined and became the Pickerington Local School District. In 1815, Abraham Pickering, whom the City of Pickerington is named after, donated a plot of land to be used for educational purposes. The Pickerington School House was built on this land. 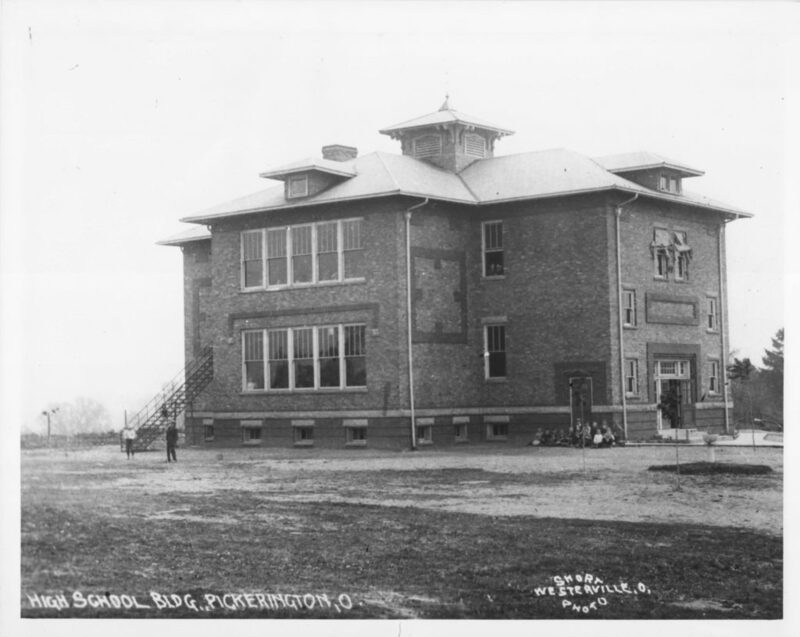 In 1883, a new two-story, two-room school was built to replace the original building. Census data shows that in 1895 there were 106 students in Pickerington. 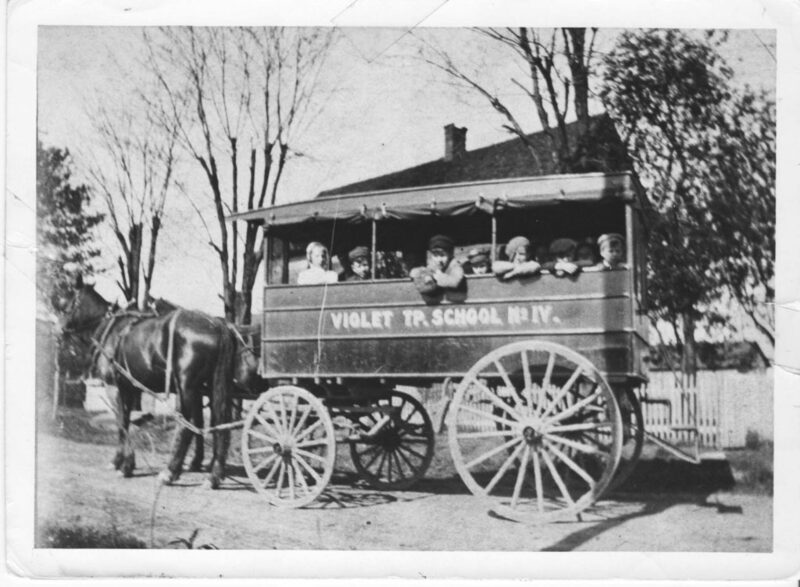 Today, the original school site is home to the Pickerington and Violet Township Historical Society at 15 E. Columbus Street. Driven by a dynamic and caring staff, Pickerington Local Schools has grown from a shared one-room school in a log cabin to 14 modern facilities educating more 10,000 students.